The International Biology Olympiad 2019 will be held in Szeged, Hungary. Further details can be found the competition's official website. 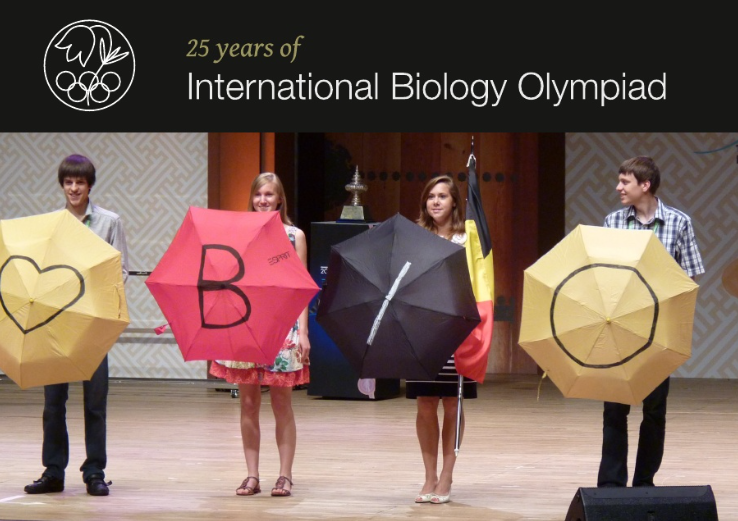 The International Biology Olympiad (IBO) is a competition for pre-university students which tests their practical and theoretical biology skills. The competition brings together students from all around the world and tries to both challenge and stimulate their curiosity in the biosciences. It is an opportunity for students to expand their talents. The IBO was founded in 1989, with the first competition held in Olomouc, Czechoslovakia. 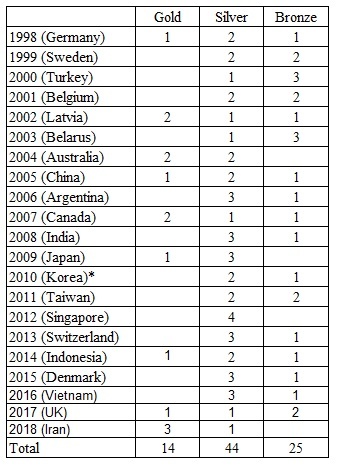 Since then, a different country has hosted the competition which takes place in July each year. Every participating nation sends four students to the IBO, who are the winners of their respective national Biology Olympiads. Up to 70 countries take part in the IBO today. Find out more about the competition on the official International Biology Olympiad website. In 2014, the IBO celebrated its 25-year history with a special anniversary book published to coincide with this event. *One team member was unable to attend the IBO 2010 in Korea due to illness. This website was made possible by the support of the Royal Commission for the Exhibition of 1851.